Android has always done notifications consistently well over its various iterations. 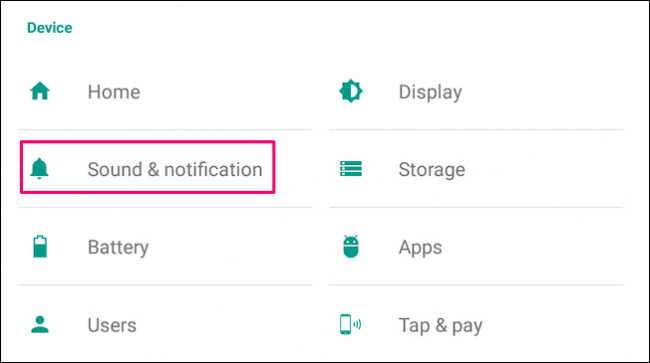 In Android Lollipop and Marshmallow, notifications have gotten even better, giving users specific, granular control over notifications for every application installed on your device. While this post focuses specifically on Lollipop (Android 5.x) and Marshmallow (Android 6.x), Nougat (Android 7.x) takes notification control even further. For a detailed look at how to better control notifications in Nougat, head over here. Starting with Lollipop, notifications are still accessible from the status bar, but they’ve also moved front-and-center to the lock screen. You can double-tap on a specific notification to open the app (you’ll have to unlock your device first), or swipe them away from the lock screen just like you would in the old pull-down drawer. You can also expand your notifications by pressing and pulling down. In some apps, this will give you a more detailed look at the notification, while others (like music or video apps) will give you playback controls. Tapping the bottom-right “clear notifications” button still makes everything go away. 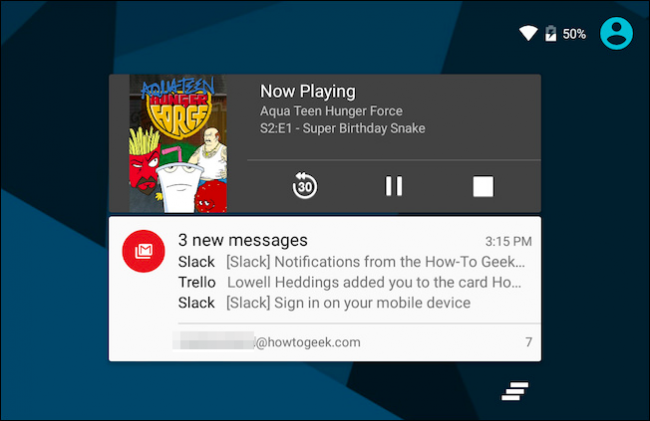 Aside from this new functionality, Lollipop incorporated some really solid, new notifications options. If you swipe down from the status bar, then press the gear icon at the top, you can quickly open general settings. The resulting page has four options under the “Notification” heading. The Pulse Notification Light setting is self-explanatory: it will flash an LED light on your phone whenever you have a notification. 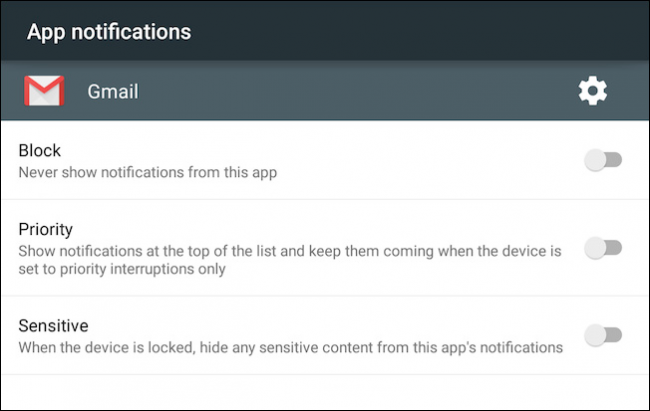 In addition, you don’t need to worry about Notification Access settings–an app will prompt you if it ever needs them. If you tap on “When device is locked,” however, you see three options. 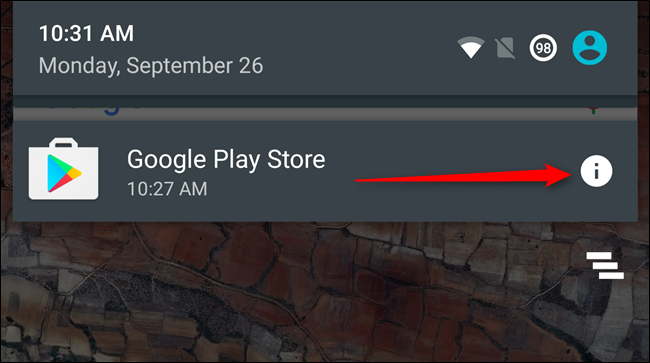 By default, both Lollipop and Marshmallow will show all notification content on your lock screen. 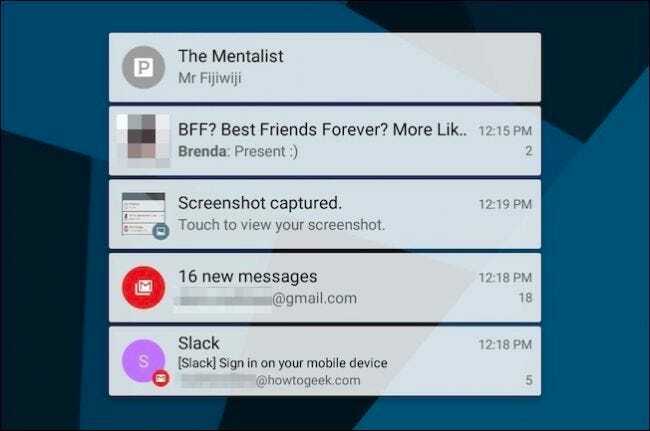 You can completely disable lock screen notifications by tapping “Don’t show notifications at all.” This lets you restore a bit of privacy from technology’s creep–no one can see your emails and text messages just by looking at your lock screen. 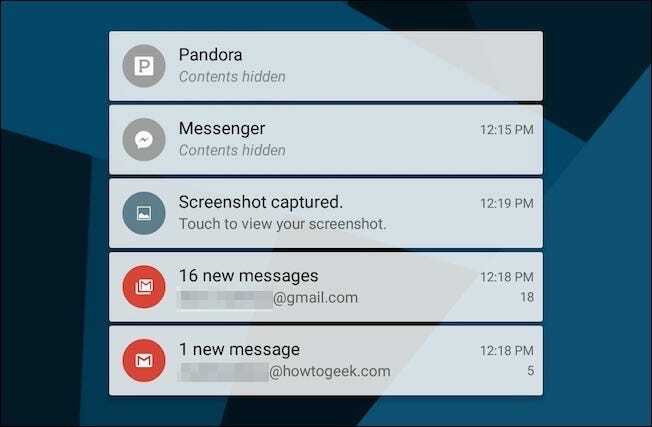 Tap “Hide sensitive notification content” and you will no longer be able to see what’s playing on Pandora, what people are saying in instant messages and texts, who is sending you e-mail, and more. It’s a transparent privacy feature, allowing the device to notify you of things that need your attention without revealing what it says or who wrote it. If an app is regularly sending notifications you don’t want to see, head to that app’s settings and see if there’s an option to turn them off. This is, usually, the best way to stop an app from sending you notifications. 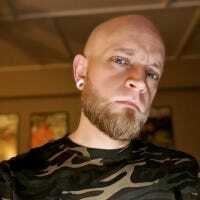 Unfortunately, some applications are insistent about getting your attention. Facebook Messenger’s notifications, for example, can’t be turned off–they can only be muted for up to 24 hours. 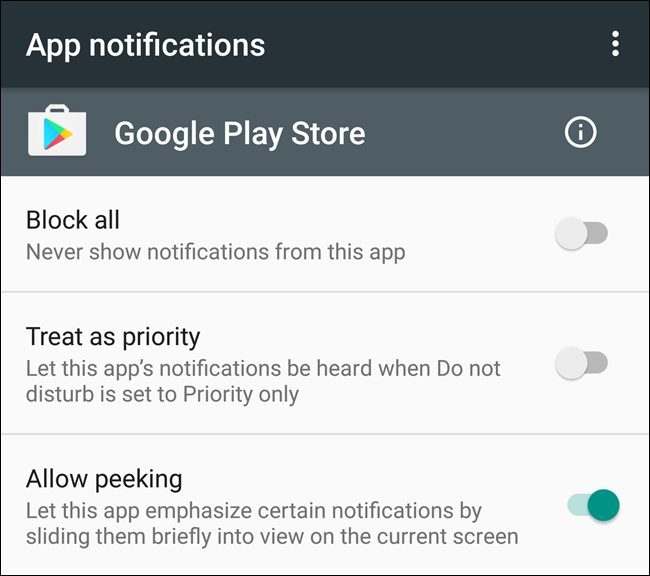 Android Lollipop brought a little sanity and reassurance into this field by introducing the ability to block notifications from any app. This setting is also available on Marshmallow. 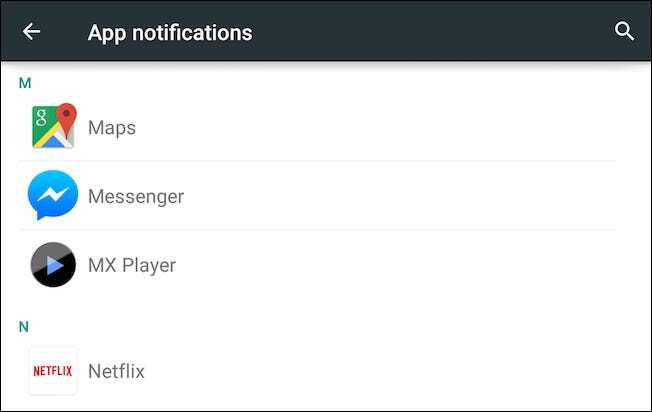 When you tap “App notifications” on the Notification Settings screen, you are presented with a scrollable list of all your installed applications. If we scroll to the aforementioned Messenger app, we can show you how this works. It’s worth mentioning that while Lollipop breaks the list up into alphabetic sections, Marshmallow eliminates the subheads in lieu of a simple alphabetized list. Sensitivity settings let us force some apps to hide their content on the lock screen, so if you actually want to see who is e-mailing, you can, but if you don’t want to see text or Messenger previews, you can specifically assign them to hide their content. Priority interruptions pertain to what applications can notify you when Do Not Disturb is on. If an app is marked as priority, it’ll come through if you have Do Not Disturb set to “Priority Only”. In Marshmallow, this section also includes an option to “Allow peeking.” This feature was introduced in Android 6.0 and allows a notification to pop up on top of other apps so you can quickly check it without leaving the foreground applications. Finally, some apps may have a settings gear in the upper-right corner of its App Notifications window. 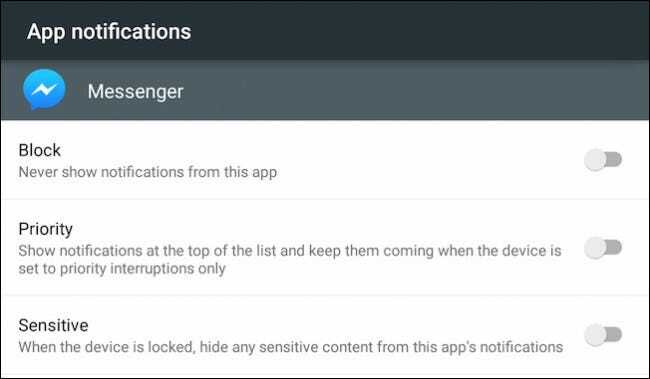 This will take you to the notification settings within that app. Marshmallow also has one trick up its sleeve that you won’t find on Lollipop when it comes to notifications. When you get an annoying or otherwise bothersome app and need to silence it quickly, just long-press it and tap the “i” bubble. Boom: you’re immediately taken to that app’s notification settings, where you can block it for good. Android’s current notification settings add a great deal of flexibility over the way it alerts you across the entire system. 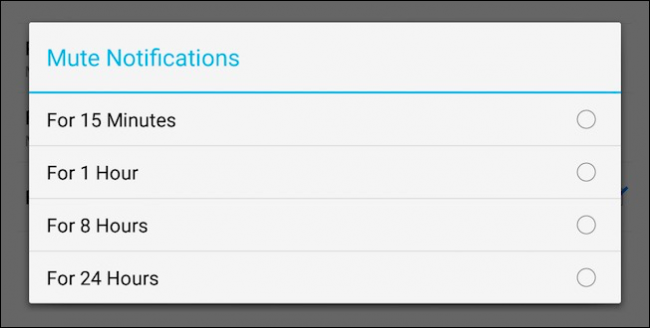 You no longer have to open each app and then open its preferences for notification settings. You can still do that, but Lollipop’s inclusion of app notification settings means that you have systematic control over everything.